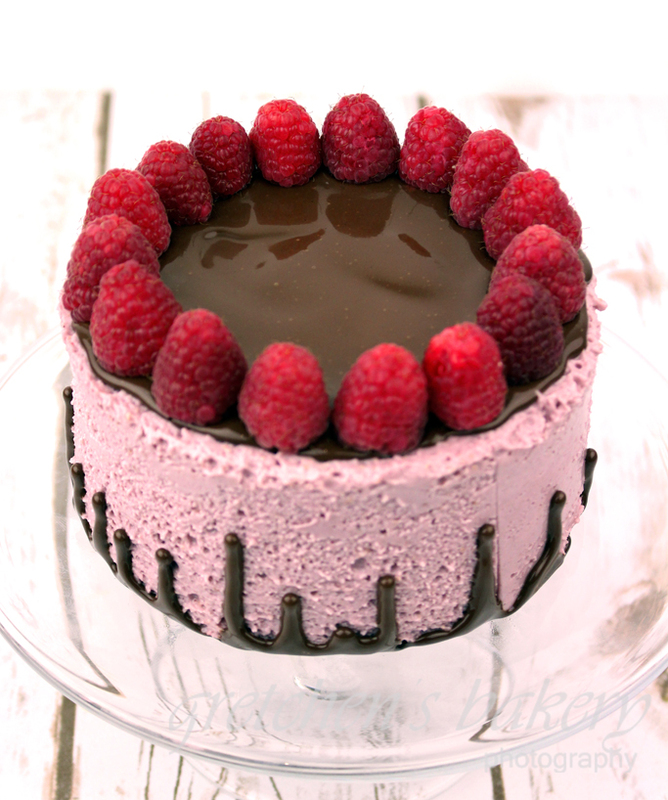 This raspberry mousse cake idea came from my most recent recipe for Pumpkin Mousse Cake. That recipe took off like a rocket as the first pumpkin recipe of the season, and sparked so much conversation in all the social media groups I am in. 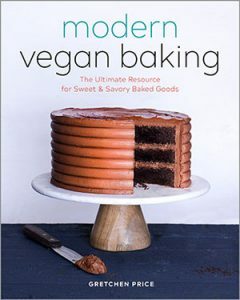 One of my students in Vegan Baking Mastery- my online class where I teach all about egg replacers in vegan baking, asked if the pumpkin puree could be substituted with another puree, like raspberry. The answer to that was yes, but with some slight changes because pumpkin is a thicker puree and has some natural thickening properties in and of itself. Raspberry puree, while it does have some natural pectin in the fruit it is a thinner puree so I had to adjust the agar in the aquafaba slightly to help this whole thing set up. 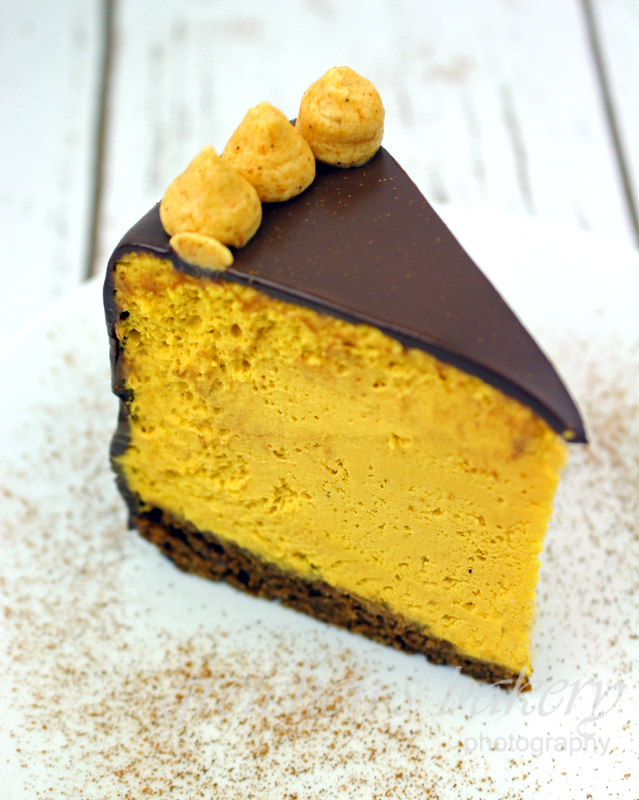 The cashews are the base for a cold preparation mousse like this and totally necessary to aid in the setting of the whole thing. I know I will get some questions right away if you can swap out those nuts for something else, and while yes you can make a mousse without them, but not this recipe. It would require a whole other recipe formulation. The thin chocolate cake layers are hidden inside the mousse so that when it is unmolded you just see the stunning raspberry mousse and nothing else. The chocolate ganache drip is of course the moment we all wait for so be sure to watch the video even if you don’t plan to make this cake! That ganache drip is mesmerizing! variation note: I am using chocolate cake but you can use vanilla cake or even my white chocolate cake recipe would be amazing here! First prepare the stabilized aquafaba by heating it over low heat with the ½ teaspoon of the agar powder and bring it to a boil. One layer goes into the center and then the rest of the mousse on top. The other cake layer goes on top, press down firmly so the mousse will come up around the sides (as shown in the video) and refrigerate until set at least 5 hours or overnight. 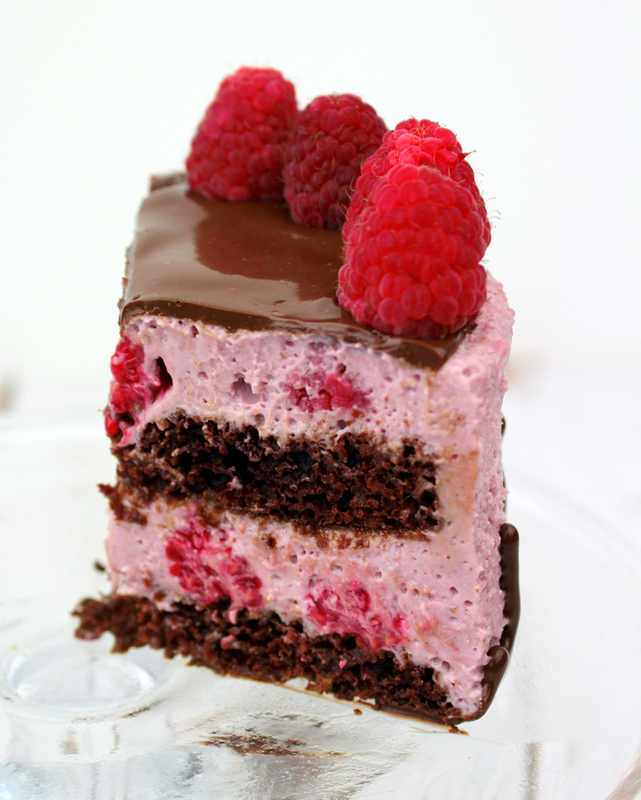 Raspberry mousse cake must be kept refrigerated at all times, and will stay fresh in the refrigerator for up to 1 week. 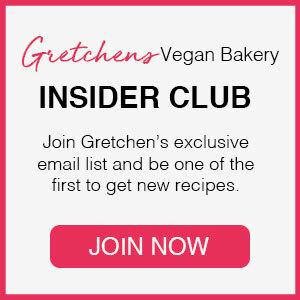 Hi Gretchen i i was wondering if I can switch strawberries instead of raspberries? What do you think? Wow, this is awesome! Your website is an awesome find and I love this cake! My kids aren’t big on chocolate so I made the mouse and layered it with your vanilla cake frosted the whole thing with with Swiss buttercream frosting. It turned out great! Thank you! I was wondering if it would be possible to use this mousse in a mousse cake topped with a vegan mirror glaze, but I’m affraid the bubbles might create an uneven texture. What do you think?